We stayed in a wide variety of accommodations over this five-week period: homes of friends, Airstreams, quirky inns and luxury hotels. Some experiences we’ll remember for a lifetime. This year was the year, our once-in-a-lifetime opportunity to take a long drive with the kids and experience some of the most beautiful scenery in the country. We planned a drive from Long Beach, California to Victoria in British Columbia. All of the stars aligned for us: our work schedules were flexible, the kids were old enough that they’d remember the trip and be able to drive for several hours at a time, and the kids were young enough that they wouldn’t get too grumpy about non-stop family time for five weeks. On the deck of the Queen Mary for some California sunset views. Our goals for the trip were to enjoy each other and build memories, to show our kids California’s Pacific Coast Highway and the Pacific Northwest, and to introduce them to as many different places and people as possible. 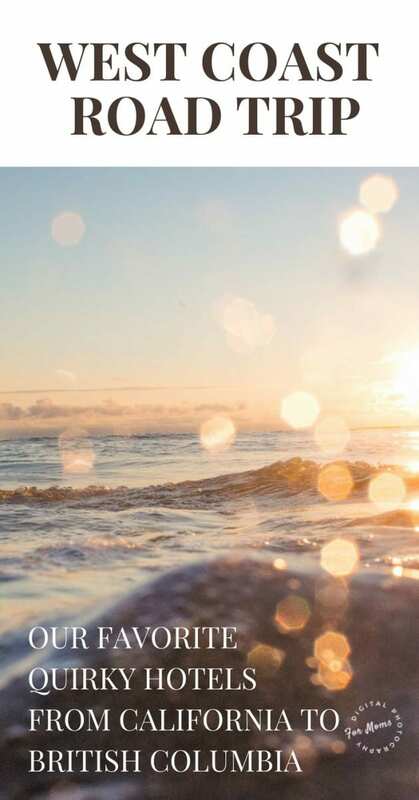 My own personal goal as a photographer was to take keepsake photos — photos that went beyond the snapshot-on-the-beach level to become beautiful reminders of the sights, sounds, and sensations of the trip— a journal for the senses. We stayed in a wide variety of accommodations over this five-week period. From homes of friends and family to budget hotels, plus special accommodations that provided experiences we’ll remember for a lifetime, we covered it all. The Queen Mary was once a British luxury ocean liner that hosted Winston Churchill, the Duke and Duchess of Windsor, and Clark Gable. Commissioned in 1936, she took her last voyage in 1967 and has been permanently docked in Long Beach, CA since then. Her first hotel rooms opened in 1972. Staying in the Queen Mary, you’ll feel that you were transported to 1930s England without ever using your passport. The Art Deco style sets the tone throughout all of the common areas. 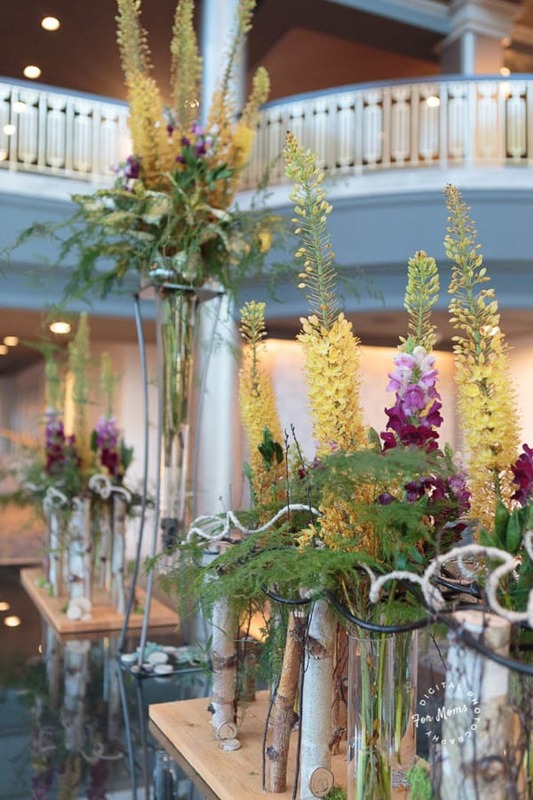 While walking its storied halls, the eyes of statesmen and royalty watch you from their hanging portraits establishing the Queen Mary’s pedigree. This hotel has something for everyone. History buffs will love the exhibits found from fore to aft on the ship. It has dedicated museum space for traveling exhibitions that you can tour for an additional fee. The huge engine room is fascinating for those in your party who love playing with lego planes, hot wheels, and dump trucks. 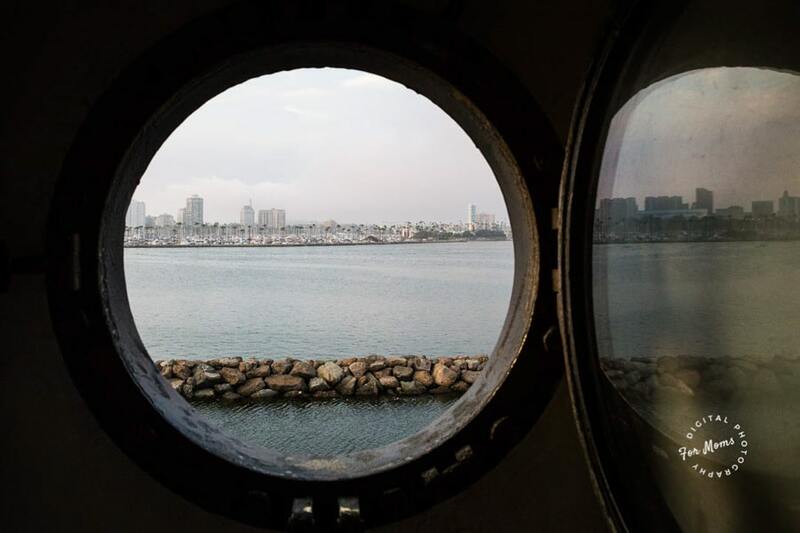 Request a port view from your room so that you can watch the city of Long Beach and the ships sailing into and out of Queensway Bay. 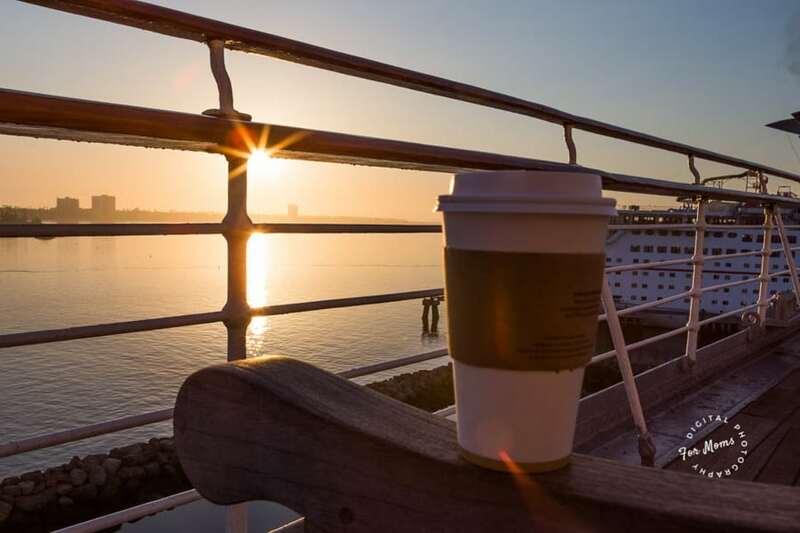 You’ll find plenty of restaurants, shopping, and a coffee shop on board. 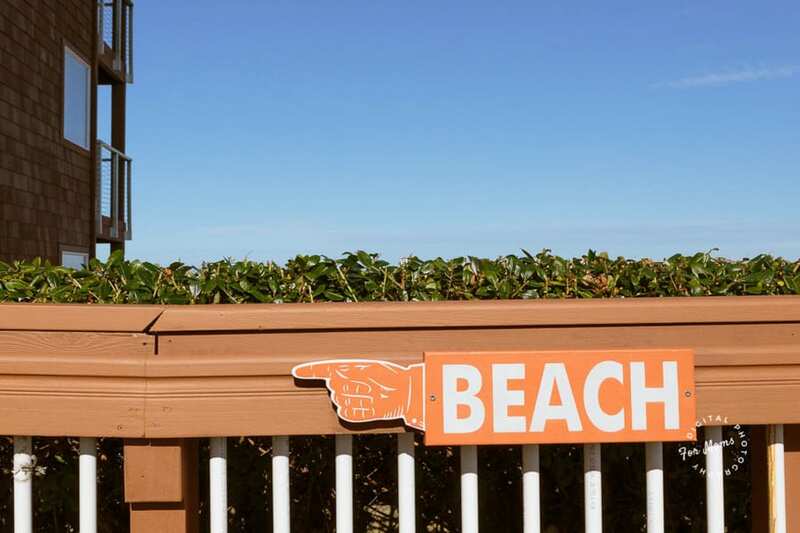 The hotel’s access to Huntington Beach and Long Beach offer plenty to do ashore. Nearby are the Catalina Express Ferry and the Aquarium of the Pacific. During the summer of 2017, parts of the ship were being renovated. Check on the status before you make reservations to determine if anything important is closed during your stay. To stay right on the beach in Santa Monica, check out our review of the Shore Hotel. We’ve always wanted to stay in an Airstream. At the Auto Camp Santa Barbara we did. We loved it, and our hipster quotient increased, at least for the night. 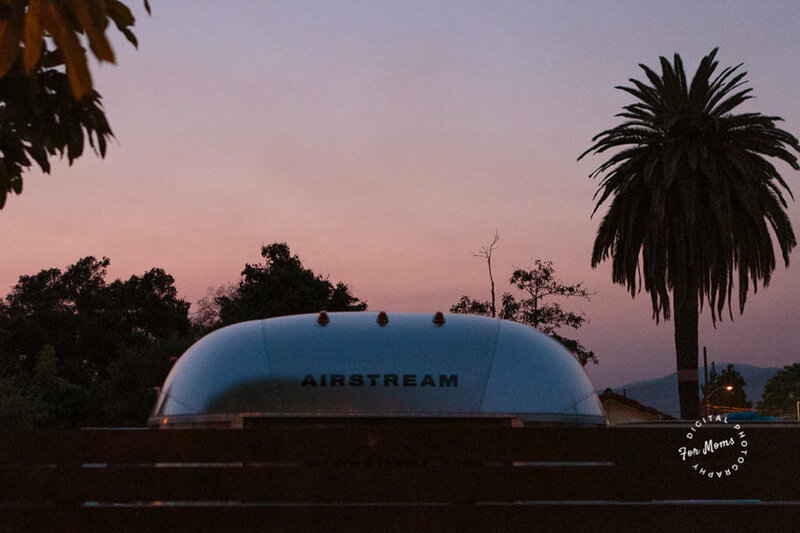 Our family of four fit snugly into this Airstream in Santa Barbara. It was a great stopping point between Long Beach and Monterey. We cooked a simple dinner, ate outside on the nicely manicured astro-turf yard, and slept soundly. Our Daily Bread across the street offered a hearty and tasty breakfast. Our 13-year-old and 9-year-old shared a bed that was about the size of a double. We put them head-to-toe to make them feel like they had more room. We were all surprised at how comfortable the bathroom was. It had plenty of room to move around – no cramped showers here. And the Malin + Goetz toiletries were the best of our trip. Auto Camp Santa Barbara is part of a larger recreational vehicle park. You’ll see long-term residents mixed in with the glamping tourists. 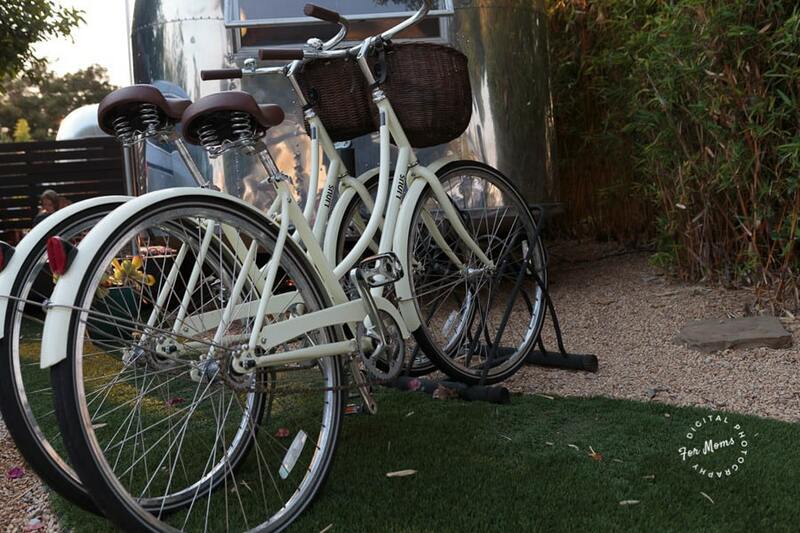 AutoCamp provides two bikes for each Airstream. Since the trailer sits in the heart Santa Barbara, you can use them to explore downtown. You could also ride them on the three-mile ride to the Pacific Ocean if you want some beach time. offers you and your kids beekeeper’s suits to handle live hives. Arky’s B&B provided a wonderful opportunity for our kids to experience a different culture and way of life. This dated, but immaculate, home sits at the mouth of the Smith River where it hits the Pacific Ocean. It’s just south of the California-Oregon border. Arky’s location is picture perfect – the views of the Smith River spilling into the Pacific, the proximity to Redwood National Park and all its hiking trails, and herds of wild elk the park provide countless opportunities to wander and explore. Arky’s is a former family home with large common areas, a pool table, a small mini golf course, and even a bowling alley! Ana and Richard, the hosts, recently moved from China and provide an authentic experience for all of their guests. They ask you to take off your shoes at the front door and provide clean and comfy house slippers for everyone to wear. Their home is full of Chinese artifacts whose history they are happy share. Our family had two bedrooms with a huge bathroom. Richard and Ana surprised us with nice touches throughout our rooms: dishes of candy, rose petals, and plenty of tea to drink. Our kids loved this place, and not even because of the mini-golf. It was the amazing breakfast and the fact that they didn’t have to share a bedroom with mom and dad. And the food. Oh, the food. Our breakfast was an authentic Chinese experience. It was nothing like an American neighborhood Chinese restaurant. It was a culinary experience that we are still talking about. The three-course meal began with chamomile tea and coffee, plus plates of rice flour pumpkin cakes. The next course combined rice with the most flavorful sausage I have ever had – Shanghai style. The final course included a big plate of eggs with a side of salad that included paper-thin sliced fruits and vegetables in a light homemade dressing. While Richard and Ana are still building their English skills, my nine-year-old is in a Mandarin immersion program. They bent over backwards to give her an opportunity to practice and bolster her confidence. I noticed after we left that Richard and Ana would have cooked dinner for us, too, had we requested it. One of my biggest regrets of this entire trip is missing another meal with them. I can’t recommend staying with them highly enough. 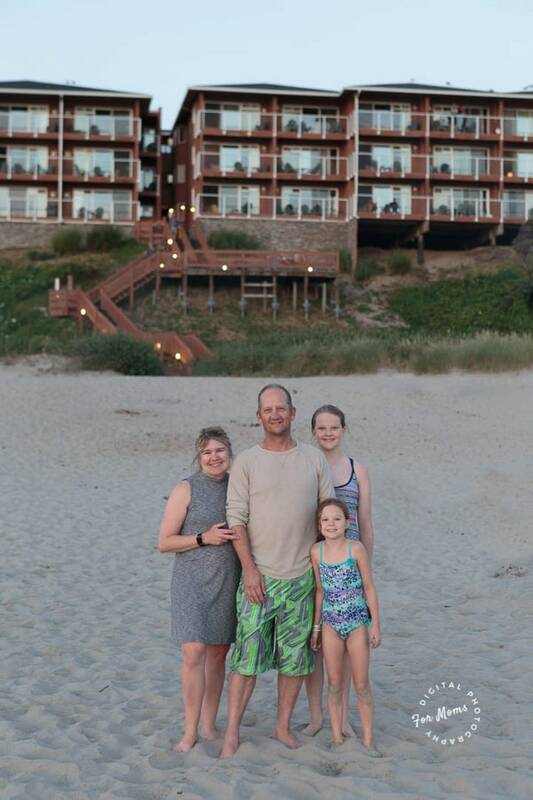 The Sylvia Beach Hotel won our family prize for the best hotel of our trip, hands down. We are a family of readers, and I believe deep in my heart that this quirky hotel was made just for us. Sylvia Beach was an expatriate American bookseller in Paris in the ‘20s, not an actual beach. Each room is decorated after the works of a specific author. And when I say decorated, I don’t mean that a picture of Jules Verne and a submarine are thrown on a wall. I mean that the door to the Jules Verne room is an actual submarine door and that every inch of the Jules Verne room helps you immerse yourself in the books he wrote. 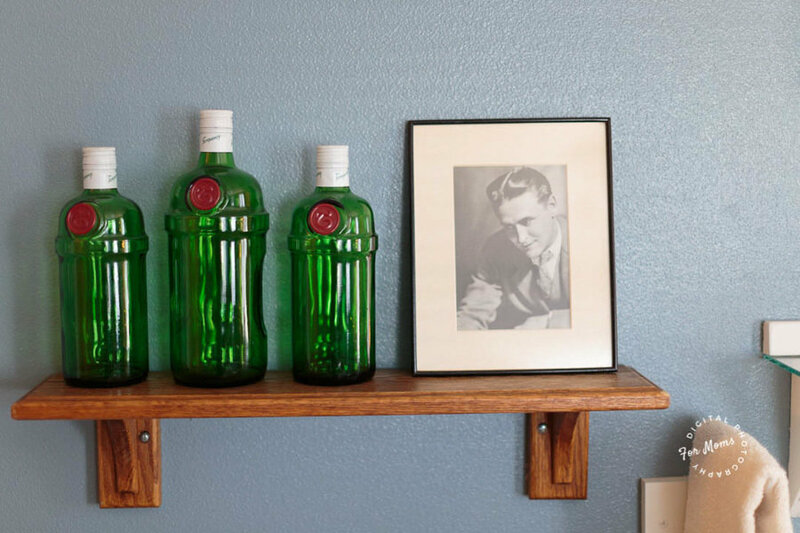 We stayed in the F. Scott Fitzgerald room complete with empty bottles of gin on the wall. The windows in these two rooms open out to the ocean over Nye Beach in Newport, Oregon. 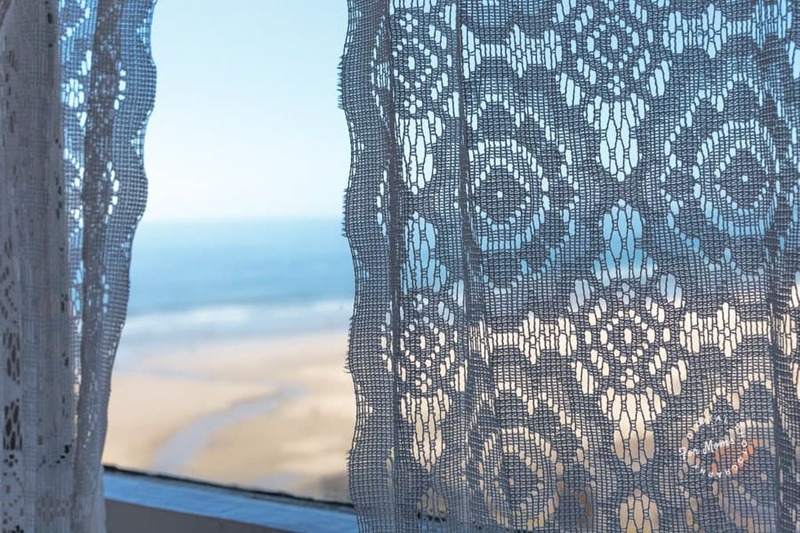 We slept with the windows open, listened to waves all night, and woke to the sound of gulls in the morning. The rooms aren’t the only special part of this hotel. The gift shop is one of the most unique that we found. The hotel has a huge library and offers comfy reading nooks everywhere. And most of those reading nooks have incredible views of the ocean. The kids were next door in J. K. Rowling room. 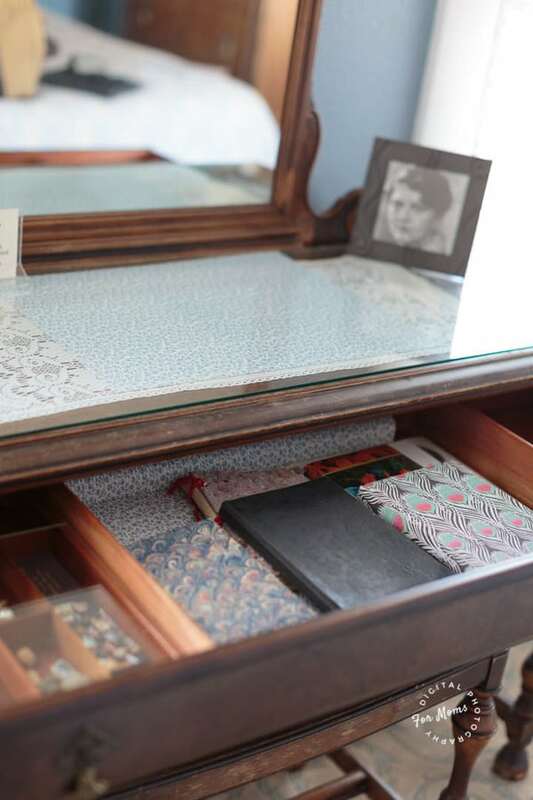 Each drawer that you pull open has on-style props and decorations. We spent a good thirty minutes exploring the Gryffindor-decorated Rowling room. 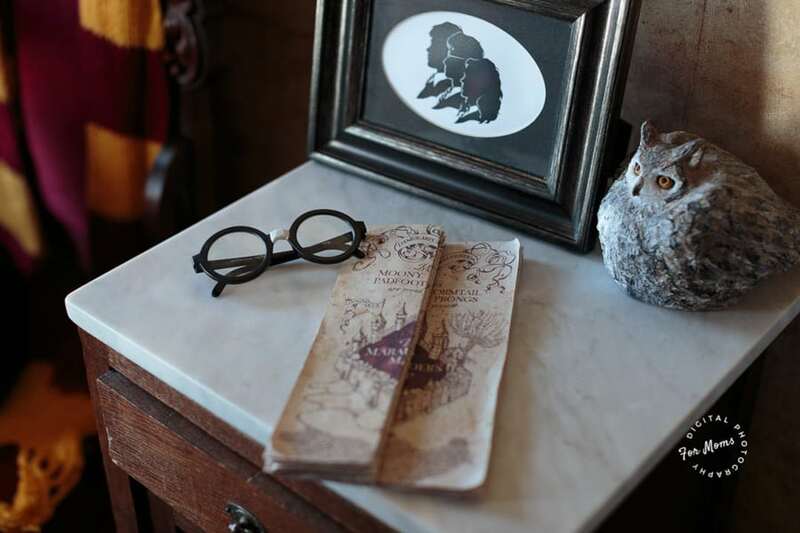 The Marauder’s Map was there, plus Hedwig and a broomstick, Legos, the entire series of Harry Potter hardbacks, a photo of James and Lily on the nightstand, and a silhouette cut-out of Harry, Ron, and Hermione. Moaning Myrtle even makes a special appearance in the bathroom! What’s more, the hotel has no TVs, phones, or wifi. Leave the guilt about working behind. You just can’t do it. This place is good for your soul. If you stay here, be prepared to do a lot of walking. The B&B is an old Victorian house with steep and creaky stairs. The beach is close, but it involves a fair number of stairs also. les of Content, serves an affordable prix-fixe dinner. We got pizza for the kids, left them in their Harry Potter hotel room with their books, and had a date night in the middle of vacation. The seasonal menu changes daily and offers four courses with a choice of entrees. Seating is community style, and we enjoyed getting to know the people we sat with. Wine pairings are available for each course. 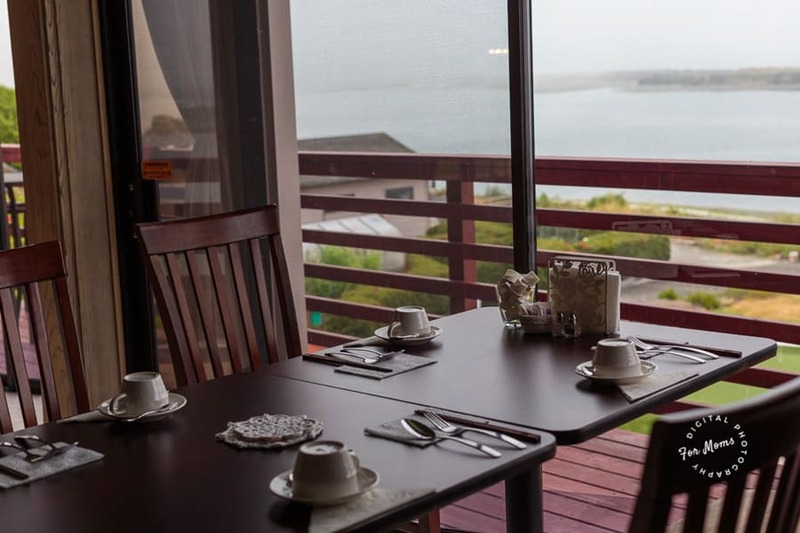 A wonderful breakfast is included with your stay, also in the Tables of Content Restaurant. 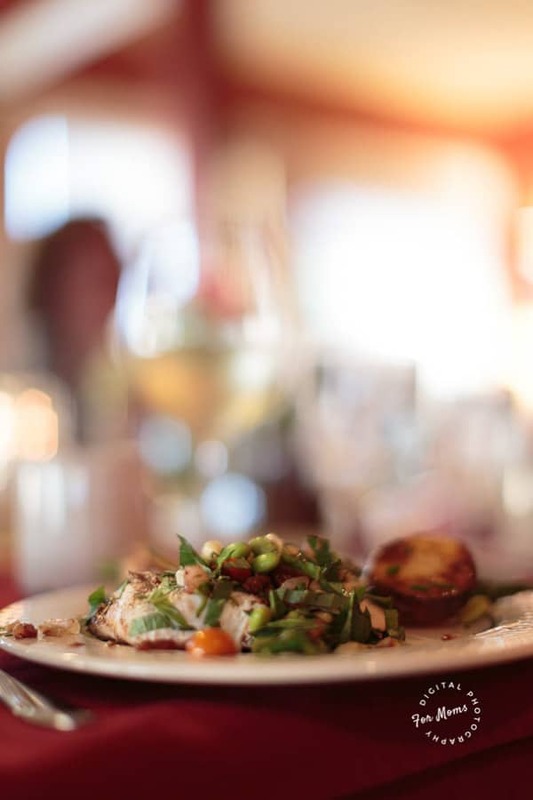 One hot entree is offered each day with table service, and you can choose from the fruit, pastries, fresh juice, and cereals at the buffet table. Newport was an adorable town with so much to do. The kids loved the Hatfield Marine Science Center. Much more science-focused than the many aquariums you’ll find on the west coast, this center has hands-on exhibits everywhere you look. The kids can create a tsunami, experiment with conditions that cause erosion, and pet sea anemones in the touchpool. My kids’ favorite display was a high tech sand table where a computer projected a relief map onto the sand based on how high or low the kids built. We had to pull the thirteen-year-old away from this table (and that’s saying something). The Hallmark Resort & Spa is a solid beachfront hotel in fabled Cannon Beach. It’s roomy, clean, and has a larger-than-expected kitchenette. Our room had a large living room and balcony with a glorious view of Haystack Rock. A Murphy bed folded out from a living room wall for the kids to sleep in. It was unexpectedly comfortable. 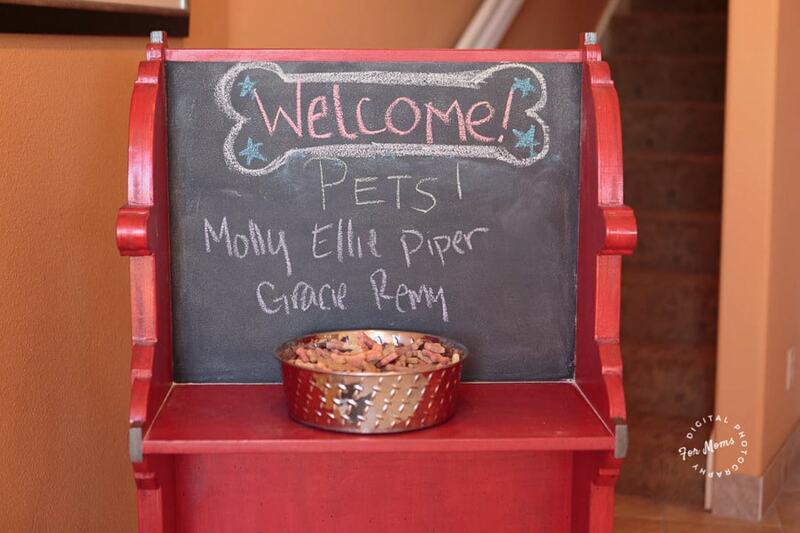 The Hallmark has pet friendly rooms and welcomes them with open arms! The Hallmark has laundry rooms throughout the facility. I didn’t have to wait to use them, and I used them as much as you’d expect from a family of four who had been on a beach every day for a week! The walk down to the beach involves quite a few stairs. The beach is large – there is plenty of room for everyone. Plus the Hallmark offers beach chairs for those that would like to lounge. The Hallmark lobby has a small gift shop behind the front desk, where you’ll always find delicious tea. But more importantly, you can buy a s’mores kit that includes wood, matches, and everything you need to build a campfire and make s’mores on the beach. Your kids will love you forever! I do wish the master bedroom in our unit had had a beach view. If you like sleeping with windows open to catch the sound of the waves as much as I do, make sure you book the right type of room! Cannon Beach is well-known for many things. First, this hotel looks directly out onto Haystack Rock, which you might know from watching the Goonies. 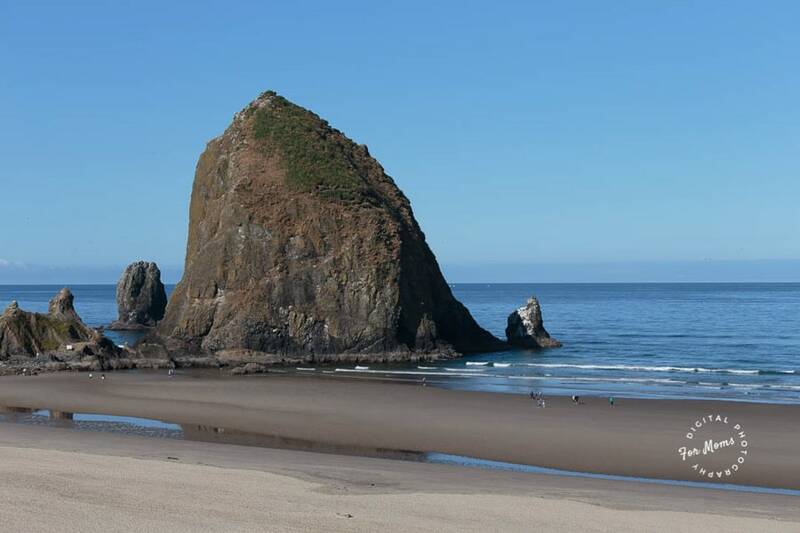 Haystack Rock has intricate tidal pools around it. We spent much of our beach time exploring them – we found sea stars and sea anemones of all types. The town of Cannon Beach is delightful. You can walk from the Hallmark Resort, or there is plenty of in-town parking if you’d rather drive. You’ll find shops of all sorts: clothing, souvenirs, books, gourmet food, and an amazing chocolate store, the Cannon Beach Chocolate Cafe. I suggest the hot chocolate that is so thick you have to sip it like soup with a spoon! It rained one of the days we spent in Cannon Beach, so the four of us booked an hour in the Cannon Beach Escape Room. We didn’t escape, but we had a great time working together! The Fairmont Empress is Victoria’s famed grand dame hotel overlooking the harbor. If you take a ferry from Seattle or Port Angeles, Washington, you’ll have an easy walk to the hotel. It is beautiful, comfortable, and luxurious, beyond a doubt. 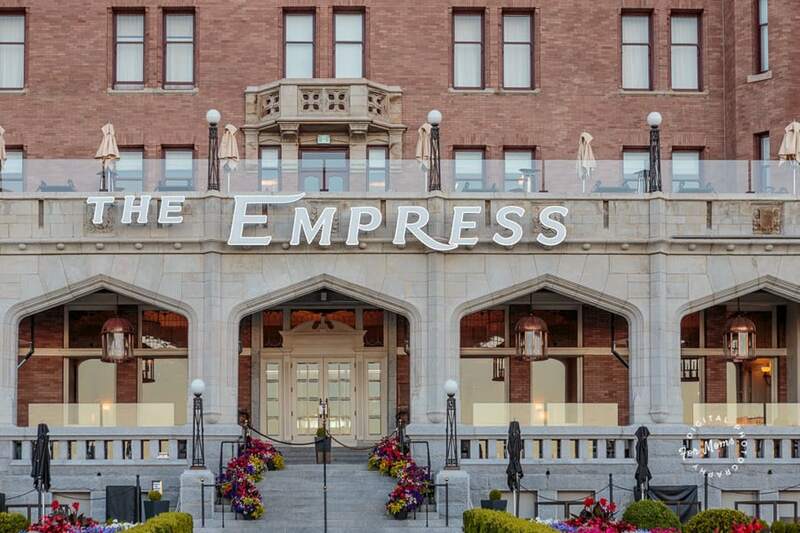 However, if you’ve stayed at the Empress before, you might be surprised by its newly-renovated state. The highlight of arriving in Victoria for me used to be seeing the ivy-covered walls of the Empress rising above the harbor. Tthe first change I noticed was that the walls are now bare. The next major change is that you no longer enter the hotel from the majestic and historic main entrance. Instead, you check in at a modern addition behind a circle drive to make it easier for automotive traffic. This new entrance is decorated beautifully, but it doesn’t recreate the feeling of stepping back into a Victorian era hotel the original could. Finally, my favorite memories of the Empress come from late afternoon drinks in the Bengal Lounge. This amazing bar transported me instantly to Britain’s Colonial empire with dark wood paneling, over-stuffed leather chairs, and impeccable service. However, the new Empress has a trendy restaurant and bar instead of the Bengal Lounge. It also has a tearoom in what used to be the main lobby. If you go for afternoon tea at the hotel, be prepared to pay $75 per person. Or, explore downtown Victoria – it offers plenty of places to have tea. Don’t get me wrong. The Empress is still a lovely hotel. It’s simply no longer the unique, historic experience it once was. It’s probably only Anglophiles like me who will be disappointed by the new, modern bathrooms. If you do stay there, make sure to request a room with a harbor view. 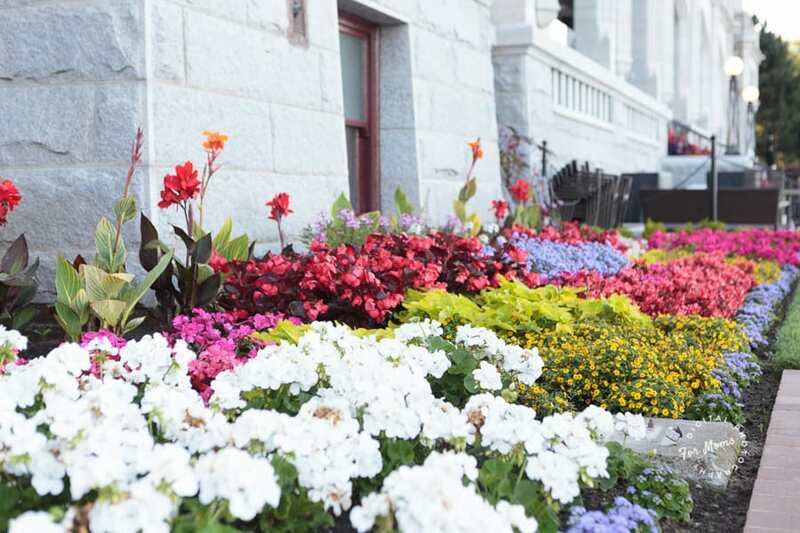 Victoria has lots to do, from walks on the beach to Butchart Gardens and endless streets full of shops. We enjoyed touring Parliament, which is also a close walk from the Empress. The Royal BC Museum is across the street. It contains many exhibitions in addition to an iMax theater. During the three weeks we spent on the west coast, my daughters’ eyes opened to new experiences, new people, and new ways of life. We had played games, swam, told stories, and built family memories together. Driving gave us a perspective that we couldn’t have gotten from visiting each of these cities in isolation, and deciding to make this trip is a decision that will enrich the rest of our lives. What more could you want from a family vacation? Erin and her family in Oregon. 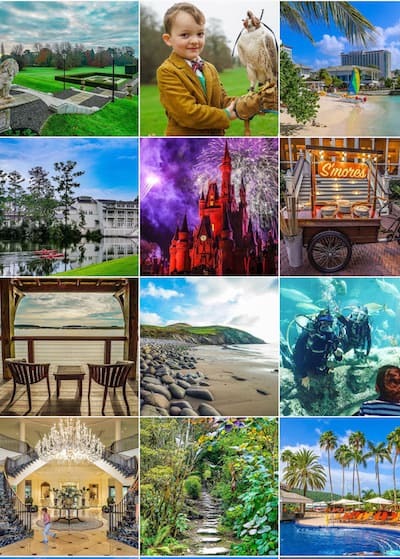 Erin Peloquin is the creator of Digital Photography for Moms where moms, dads, and anyone else can find the photo know-how they need to capture life’s best memories with envy-inducing skill. Erin’s innovative Guided 365 turns novices into accomplished photographers with daily lessons and easy-to-shoot practice assignments. 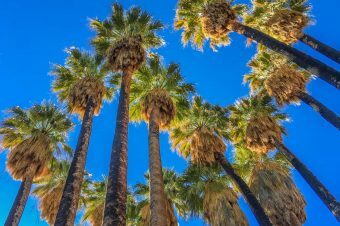 Great article with many good vacation ideas.